Can Walt Weiss turn around the free-falling Colorado Rockies? When we released our Washington Nationals 2012 Season Preview we characterized Ian Desmond as “a below average shortstop who doesn’t take walks or hit for average” and someone whose best asset is speed, projecting him for around 20 steals. So what happens? Desmond experiences a major breakthrough and winds up as the only regular shortstop in the majors to slug at least .500. He still can’t draw a walk, but that didn’t stop him from finally hitting for average (over .290). Oh, and as expected, Desmond topped 20 steals. And he did all this despite missing nearly a month with an oblique injury. That’s freaking impressive. The dude missing over 30 games, yet still puts up a career high in runs, hits, doubles, homers, RBI and BA. Not bad for a guy who was one of worst offensive players in the game last year. Desmond reached 25 homers to go along with his 21 steals, which – when combined with a sweet BA – made him arguably the most valuable shortstop in Fantasy baseball in 2012. Sure, possibly Jimmy Rollins and Jose Reyes had better seasons, but considering that Desmond wasn’t even considered a No. 1 Fantasy shortstop heading into the season, he turned the biggest profit relative to investment. Desmond’s efforts were recognized with his first NL Silver Slugger award. Clearly, Manager Davey Johnson has really played a big role in Desmond’s emergence, and the fact that the skipper will be back next year is reason to remain bullish on Desmond. Sure, we’d love to see Desmond learn how to take a walk, but considering he was able to elevate his game without that skill is extremely promising. We’re not sure he can maintain that solid OBP because his BA is likely to regress given a pretty high BABIP this year. For 2013, you can expect more at-bats (assuming he avoids injury), and that will translate into an opportunity to top some of the counting numbers he put up this year. However, we’re also expecting a regression in Desmond’s slugging, but not so much that he’ll be a bust. It’s quite reasonable to assume that Desmond will be a top 10 shortstop next year. In late-September, we talked about Robinson Cano’s inconsistent season and at the time said that the true measure of his 2012 would be whether he could string together a third straight monster playoff. Um, about that. Cano was definitely part of the problem for the Yanks this fall, going 3-for-40 in nine games for an .075 mark. He slugged .125 in the postseason after a career best .550 mark in the regular season. Epic fail. Cano’s fortunes have turned around this week with his third straight Silver Slugger and his swearing in as an official U.S. citizen. Heading into the season, we ranked David Price 12th in our Starting Pitcher Rankings. Well, we clearly underestimated him as he was easily a top five starter this season, capping off his brilliant campaign with the AL Cy Young award. We still believe Justin Verlander deserved to win his second straight Cy Young over Price but – shockingly – we don’t have a vote. 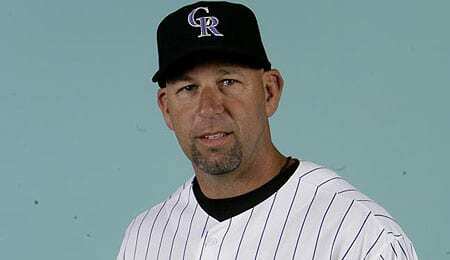 We haven’t yet had an opportunity (on the site, although we did talk about in last week’s Podcast briefly) to pipe in on the Rockies’ choice of Walt Weiss as their new manager, replacing Jim Tracy, who resigned suddenly after the season. The Rockies weren’t kidding about going the inexperienced route, were they? First, there was talk of current player Jason Giambi retiring and taking over the job. Instead, Colorado plucked Weiss from a high school dugout and handed him a major league job. It was down to Weiss or Arizona coach Matt Williams for this job, but it really doesn’t matter who is heading this team. Until the Rockies’ ownership and management let their man run the team the way he sees fit, they will continue to flounder. Crave more in-depth Fantasy analysis? Then join us every Thursday at 9 p.m. EST for RotoRob’s Fantasy Baseball Weekly Podcast on Blogtalkradio. Tim McLeod, Buck Davidson and I will entertain and edify you for an hour each week. Tune in here. This entry was posted on Thursday, November 15th, 2012 at 11:57 am	and is filed under BASEBALL, Fantasy Notes, Player profile, RotoRob. You can follow any responses to this entry through the RSS 2.0 feed. Responses are currently closed, but you can trackback from your own site.